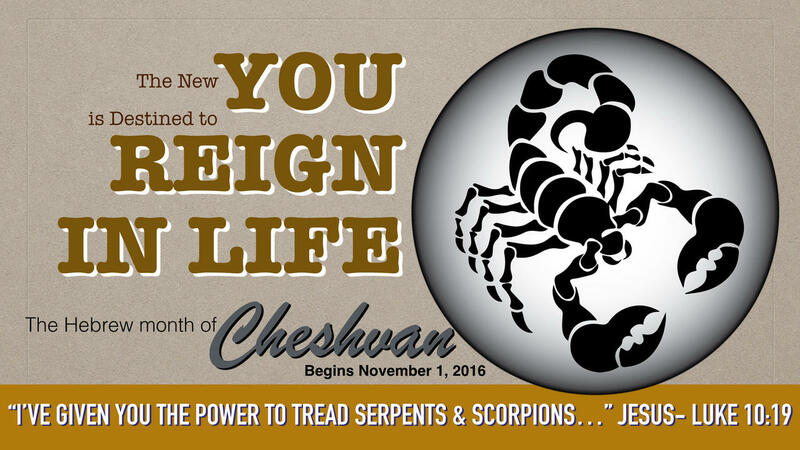 This is your month to reign in life! Cheshvan is the month characterized by the Hebrew letter NUN, which symbolizes the Messiah. The 8th month reminds us of the significance of the number 8 itself- which symbolizes new beginnings. The tribe of Manasseh represents this month- a name also of significance. Ephraim and Mannaseh were Joseph’s sons. Whereas Ephraim’s name means "to be fruitful,” Mannaseh means “to forget.” In other words, together, we see the act of forgetting the past- and moving into an incredible future. If you remember Joseph’s story, you’ll recall that’s what he did. His journey too him, literally, from “rock bottom” (in a pit, then a prison dungeon) before standing as second in command of the strongest nation on earth. This is the power of the Messiah’s Presence in our lives.